Over 700 local school children took part in a competitive school sport festival as part of the 2019 Winter School Games held right here in the West of England. The three day event took place between Friday 25th January and Tuesday 29th January 2019. The School Games, organised by the West of England Sport Trust (Wesport), took place at the University of the West of England. The three days of high quality competition provided opportunities for both primary and secondary pupils to take part in a range of sports. 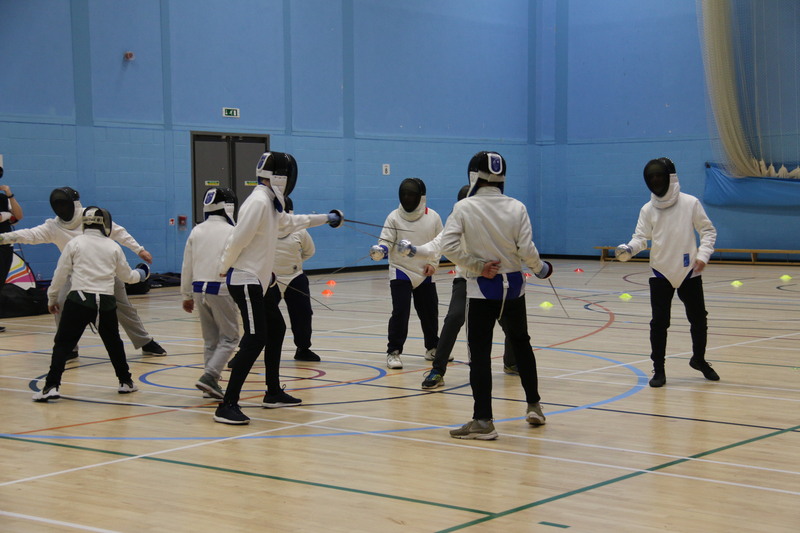 Established County Finals took place in Table Tennis, Dodgeball, Sportshall Athletics and Netball, as well as exciting new Open events in Indoor Rowing and Fencing. The events were run by local clubs and National Governing bodies, supported by groups of Young Sports Leaders from Kings Oak Academy and St Katherine’s School. 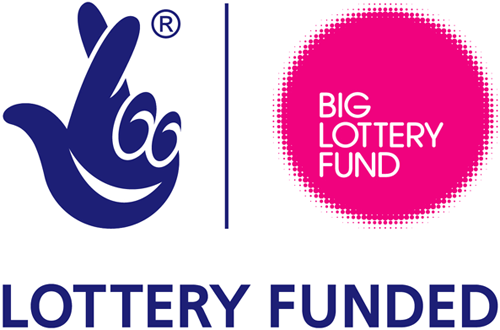 The School Games is a national Olympic and Paralympic legacy programme designed to provide a competitive school sport environment for local school children. 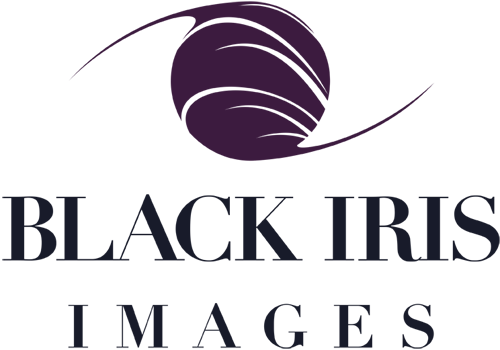 Funded by Sport England and organised by Wesport and the local School Games Organisers, the School Games programme provides a competitive school sport structure and pathway for young people in the West of England. 16 VIPs also attended the School Games on Friday including Tim Hollingsworth, the new CEO for Sport England. 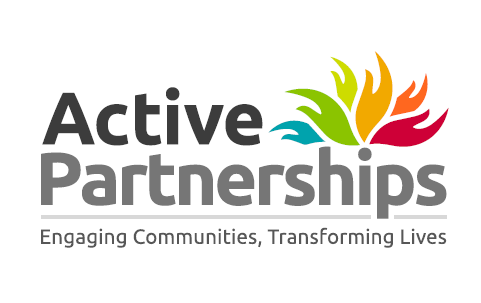 He was thrilled to see the event in action and had some fascinating conversations with teachers, pupils and competition organisers about the provision of sport and physical activity for young people within schools. This year saw the third year of our Primary Dodgeball competition and the first year of a brand new Secondary Dodgeball competition. The sport has become hugely popular in schools and we expect it to grow further in future years. In a very competitive Year 5/6 County Final, 10 schools battled it out to win medals. In a very close final match, St Helen’s Primary School finished 1st against Little Mead Academy. In the Year 7/8 competitions, Kings Oak Academy took home Gold medals for both the girls and boys teams. A fantastic display of young sporting talent was seen in the KS3 Table Tennis competition. Run by coaches and students from the SGS Table Tennis Academy, this is always a brilliant competition with some very high standard players. After some very close matches, Downend School finished in Gold medal position in the final against St Marks School and Ralph Allen took the Bronze medal. 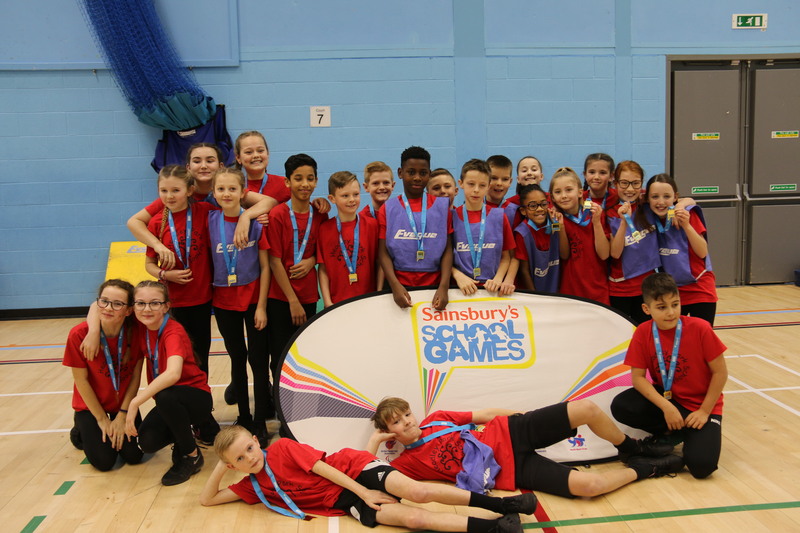 Monday saw the return of the Sportshall Athletics County Finals, with both Primary and Secondary schools taking part in respective competitions. The events featured sprint relays, obstacle relays, jumps and throws. It is always a very popular event and all the schools showed wonderful enthusiasm resulting in their enjoyment of the day. The Year 5/6 Primary competition was won by Headley Park, with St Stephen’s CE VC Juniors taking Silver and Mangotsfield taking Bronze. Gordano finished in 1st place in the Year 7 Boys and Year 8 Girls competitions, with Mangotsfield finishing 1st in the Year 7 Girls and St Katherine’s in the Year 8 Boys. Oldfield took home 2 lots of Silver medals in the Year 8 events, and Orchard, Priory, Bristol Met and Downend also taking home silver and bronze medals in various competitions.